If you’ve never experienced an out of control mule, that’s great, but if you spend any significant time with mules, you will experience a time when you can’t gain control. Knowing how to prepare – both in your training and then for that moment when he wants to do his own thing – is very important in order to avoid some of the more serious consequences. 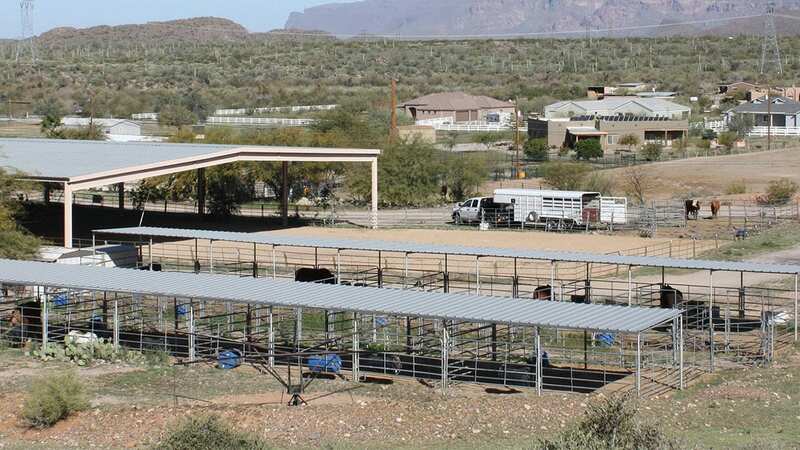 Most folks think the best way to avoid a runaway mule situation is to buy a mule that has been there, done that and doesn’t do it anymore, but you know what? That mule doesn’t exist. What Is A Runaway Mule? So what do we mean when we say ‘runaway mule’? We’re not talking about a mule that decides to run away from home. What we mean is a mule who won’t stop, won’t turn, and is just flat out, out of control. Your mule’s ‘steering and brakes’ don’t work and he basically goes about doing whatever he wants. After you’ve experienced a runaway episode, the best thing to do is to stop all recreation and start building a better foundation. Stop riding, stop driving, and return to the pen for ground foundation training. Training ahead of time is the best thing you can do to avoid a runaway situation. Again, you can’t remove the possibility altogether – these animals have fright and flight built into them. That said, when you are nearing a runaway situation, the mule will give you several signs that most mule and donkey folks aren’t looking for. The mule will stick out his nose. Now he has a hold of the bit. The mule will tighten all five neck muscles. Now he is bracing against you with all his strength. The mule will tighten his throat latch – right where the neck and throat come together. All three of these signs point to the mule telling you he is in charge and when all three of these happen, he has you. You start trying to stop using a right rein one-way stop – most people will use this to make an emergency stop. This does not work on the mule and the next thing you know, you are bouncing on the ground and your next ride is to the hospital – either in an ambulance or a friend is taking you. Needless to say, you want to wear a helmet for safety. 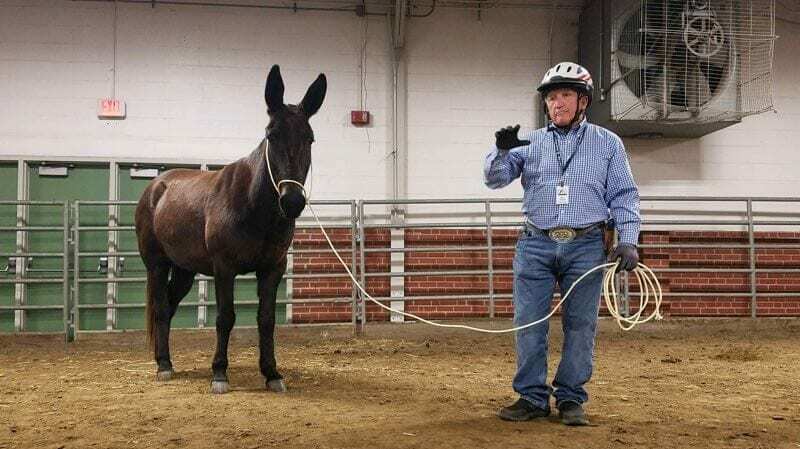 Proper ground foundation training is your best guard to lessen the likelihood of a runaway mule. Use a 12’ lead rope and do all training in increments of 3, 6, 9, 12. Folks, first and foremost you need to know that equines are dangerous and there is absolutely nothing you can do to take their fright and flight nature out of them. The good Lord gave them that nature and it is there to stay. So no matter how much training you put into your mule, he will still have a runaway nature in him. The best we can do is train him to see you as herd leader and give you the tools to help take back control when he gets a mind of his own. 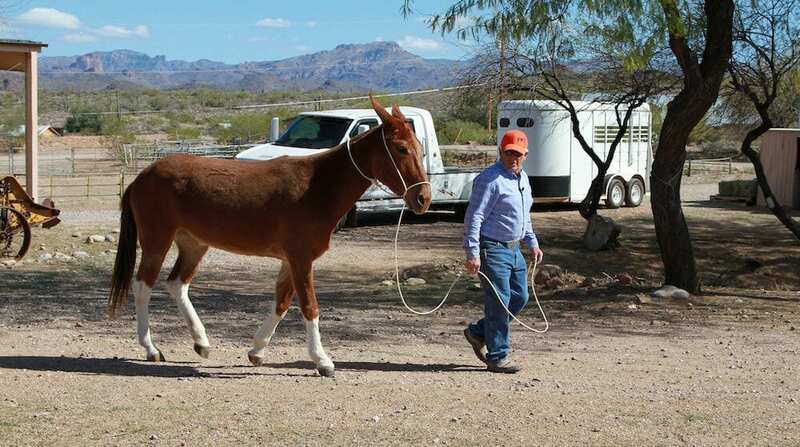 You want to begin your training from the ground with halter work. After working through ground halter work, you want to move to the Mule Rider’s Martingale, i.e. snaffle bit, and then move into the finished bit. Before riding again, you want to complete six months of training at approximately four to six hours per week and it is critical to train every week. Don’t overdo your training and don’t train every day. It’s easy to want to keep going and accelerate the training schedule, but that’s not how mules work. When you are doing foundation work you want to do everything in stages of 3 – 6 – 9 – 12. Every animal is different, but using the Ground Foundation Starter Kit, here is an example of what this might look like. Today, we start by teaching the mule to go in a clockwise circle to the right three times. After he completes three of these reps, then take him three times counterclockwise. Teaching them to walk in this circle keeps you in the middle of the circle and they are walking around you at the end of a 12 foot lead rope. They are walking slowly and listening to you. So what constitutes a successful try? You want to see the mule trying to understand and comply with what you are asking him to do. Look for the smallest ‘try’ he gives. If you see him making a stab at what you’re asking him to do, that’s the first circle. The second circle should be better than the first. The third circle should be even better than the first two. After we get our first three successful tries, we can stop and pick things back up the next day or we could wait until the next week. Ideally, you’d wait 2-3 days before going back to work. Too much training will freeze up the mule. Their brain power for learning something new is like the size of a walnut – so not a lot of power. Don’t train every day. You will wear out the mule’s ability to learn. You should train no more than 4-6 hours a week and all training should be done over the course of 6 months or so. When you return to training after a few days, do three circles in each direction and then quit. Each training session should be about 5-10 minutes and you will want to accept the mule’s smallest try if it’s in the right direction. Two to four days later do six circles each way. Then two to four days later do nine circles and then a few days later go after your 12.The circles are just an example. You’ll want to go about other ground foundation training to establish a good foundation and to let Fluffy know that you are the herd leader. 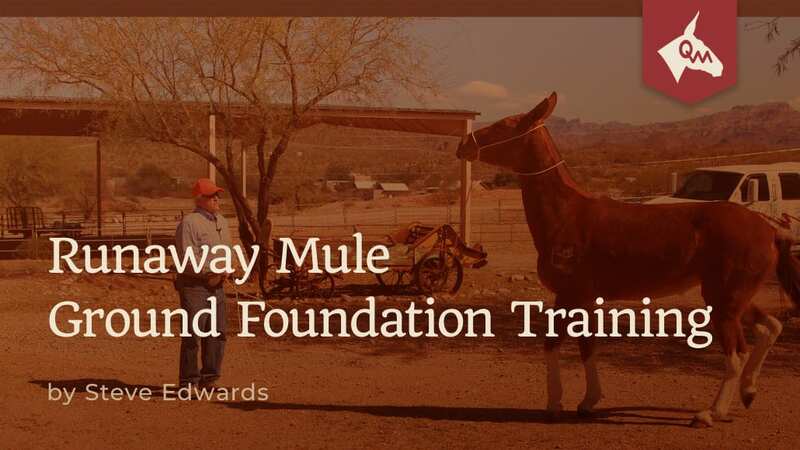 This is a great series of videos that covers ground foundation training and helps owners learn how to establish leadership over their mules and donkeys. 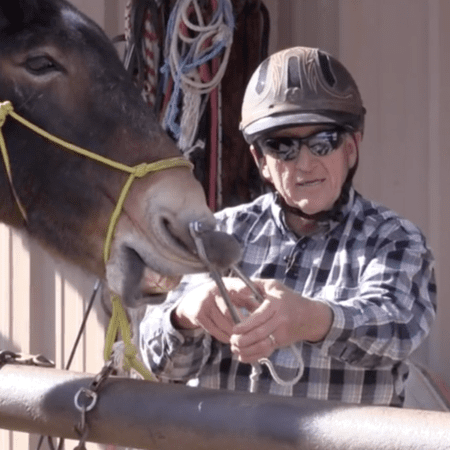 It doesn’t matter what type of mule you buy or what you want to do with ‘Ole Fluffy – your ability to communicate is what will help you when it comes to the runaway mule. Putting in six months of proper training to build a foundation is the best way to guard against the runaway mule.